In most of Northern Nevada, the four seasons — Wind, Smoke, Avalanche, and Flood — come and go with the unpredictability of the weather. In Carson City, though, we can depend on the regularity of a fifth season — Silly. It arrives in early February of odd years (I’m pretty sure that isn’t by accident) and lasts exactly 120 days, unless Nevada’s legislators are feeling especially silly. Then we get a Special Silly Session. For most of that time, they debate the merits of bills that will never be enacted. That’s a seriously good thing. There will be some 1,500 pieces of legislation introduced over the course of the season. Some of the best ones will get through. The rest will not. Nearly every topic you can imagine comes up in one way or another in the discussions on these bills. And there are a lot of people in the Legislative Building who are experts on these topics. It’s whether they tell you everything they know that makes the difference. So if you want an education, sit in on a committee hearing. You don’t even have to be in Carson City, though it’s better when you can see everything in person. Thanks to the Legislative Counsel Bureau’s excellent web site (leg.state.nv.us), you can watch and listen on your computer or your telephone. Understand, I make no guarantees about the value of each and every hearing. Like attending college, you kind of get from it whatever you’re willing to put into it. And sitting for two-and-a-half hours in the back of the Assembly Ways and Means Committee gallery for a bill to come up may only prove to you just how slow your life has become. So you need to look for the entertaining stuff. Fortunately, this is available on a much-overlooked link on the LCB’s web site called “Events Calendar,” down in the lower right corner of its main page. There you will find all the groups and organizations coming to Carson City to make their presence known. Surely you can find somebody with whom you have a common bond. If you are a native woman who got her degree from UNR and since retired from the mining industry, those are five days in February alone that you can join like-minded folks in the capital. March 6 — Canada Day. Do you have any idea how much business Nevada and Canada do? March 14 — E Clampus Vitus Day. You better know what this is about, or they’re revoking your voting privileges. March 19 — Nevada Museum Showcase. Museums are among the things Carson City does best. April 30 — Agriculture Day. It’s always good to be reminded what goes on in, like, 98 percent of Nevada. May 6 — Psychiatry: A Shocking History and Present. This one just sounds promising. 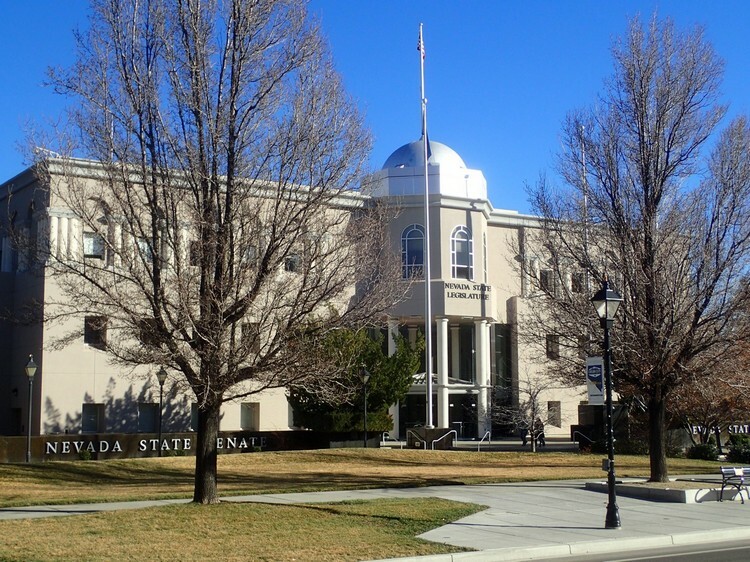 Of course, the Legislature isn’t the only thing going on in February in Carson City. Coming up February 23rd is the Carson City International Film Weekend. If you’re a film buff, you also should be checking out the Carson City Classic Cinema Club’s schedule, which includes “It Happened One Night” on Feb. 5 at the Brewery Arts Center.